In this brief final chapter, we ask ourselves about the achievability of Isocracy. We distinguish between the objective or structural side and the subjective one. On the first side, the most debated trajectories of institutional change are those planned from above and those that emerge from the spontaneous interaction of individual behaviours. In my opinion, a third modality is particularly important today. It works by temporarily breaking the rules of an institution, on the part of a coalition however small. When many of these interventions converge on the same “narrative”, they take on a unitary meaning and can shape new institutional rules. Rather, on the subjective side, it is necessary that multiple coalitions defy existing rules. As long as the imagination of people lies within the horizon of power asymmetries, the change stagnates. It can happen, however, as some models analyse rigorously that small alterations in someone’s narrative multiply and amplify to become a critical mass. 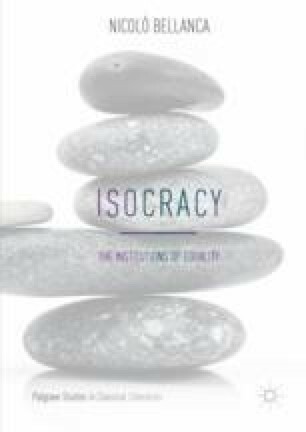 In conclusion, Isocracy represents a theoretical project, whose structural and subjective possibility is rooted in the multiple conflictual dynamics of capitalism. Organisational set-ups of economic pluralism as well as political pluralism, promoted by humans who self-regulate all their passions, can together conjure up a real utopia: its forms are those of “polyphony”, a plurality of settings, spheres, arenas, where power is diffused, balanced, distributed on more levels and freedom is shared. The social world is always imperfect. We can never achieve a perfect ideal. However, we can design an ideal for imperfect people. The future, like everything else, is not what it used to be.